Everyday purchases become more rewarding with points to fly for free with the CEB GetGo Debit Card. Debit cards are becoming an essential for every kind of lifestyle. It provides convenience for the busy and always on-the-go millennial who wants to have a little bit of everything instantly. And because most debit cards now offer cashless transactions with one swipe, many Filipinos can enjoy the things they want anytime. 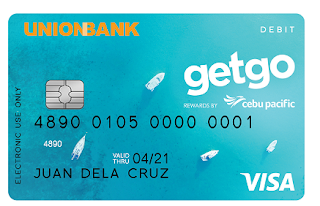 From GetGo’s large fleet of cards powered by VISA and UnionBank, the CEB GetGo Debit Card is the first and only debit card that rewards you with points to fly for free with Cebu Pacific. 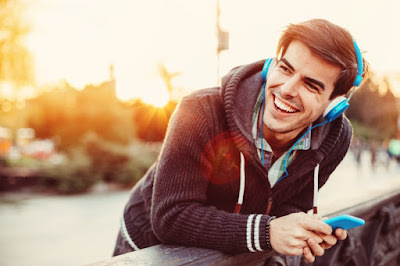 It is the most exciting debit card as it easily earns GetGo points for everyday activities such as dining in restaurants, buying groceries, watching movies, filling up at the station, and even shopping from your favorite brands in the malls and online! With CEB GetGo Debit Card, you and your barkada can go on an exciting adventure and create new travel memories. CEB GetGo Debit cardholders have the amazing privilege to receive early alerts to the airline’s seat sales and promos throughout the year. Members can also choose to redeem flights with their GetGo points or pay using their debit card, earning more points to fly for free faster! On top of the year-round surprise seat sales and promotions, GetGo members can also enjoy discounts when booking flights. Whether you’re booking for that much-awaited summer trip or planning early for holiday vacation, you can redeem Cebu Pacific flights with 10% discount on GetGo points via the website or the mobile app. Members with CEB GetGo Debit Cards can get their rewards faster as every online or in-store POS transaction merits automatic transfer of points to their GetGo accounts. So whenever you’re completing an online purchase, enjoying shopping sprees, or booking for hotels and flights, you will receive points to fly when you use your debit card. Every P100 spend automatically credits 1 GetGo point to your account – giving you more points to redeem exclusive promos or hop on to a free flight! Apply for your own CEB GetGo Debit Card and enjoy great rewards when you use it for dining, buying groceries, and shopping. GetGo members who don’t have their own CEB GetGo Debit Card yet can apply via http://bit.ly/DebitCardCEBGetGo and simply fill out the online application form. After completing the application form, you will receive a reference ID number via email which must be presented when picking up your debit card at any UnionBank branch nationwide. For more information on memberships and partners, visit www.getgo.com.ph. Never miss out on exclusive member offers and the latest news on partner promos by subscribing to GetGo email alerts. Just log in to your account, go to ‘Profile’, select ‘Preferences’, click ‘My Settings’, and choose ‘Count Me In’. You can also like and follow GetGoPH’s official pages on Facebook, Twitter, and Instagram.